Cheryl Esposito welcomes Kimberly Weichel, social change entrepreneur, leader of global peace initiatives, advisor to NGO’s & author. Her latest book is Beyond Borders: One Woman’s Journey of Courage, Passion & Inspiration. As CEO of Peace x Peace she supported & mentored a global network of 30,000 peacebuilders in 125 countries to raise women’s voices as catalysts for social change. Under apartheid in South Africa, Kim did grassroots peacebuilding, advocacy/cross cultural training. She managed int’l peacebuilding education & development projects with the UN; and co-founded the Institute for Peacebuilding, with training for teachers, parents, community & organizations. In every situation, success required partnership, collaboration, intuition, nurturing & long-term thinking. These skills are essential for our collective wellbeing. Together, we can influence the trajectory of our global village. Are you in? 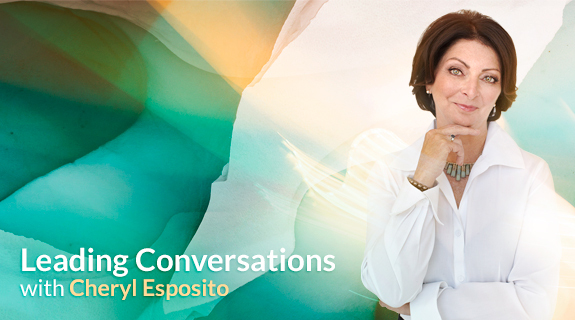 Join Cheryl Esposito & Kimberly Weichel exploring the power of our collective wellbeing.